Utopian Pulse – Flares in the Darkroom is a project by Ines Doujak and Oliver Ressler that has been executed in various formats since 2014. Banners made by 12 artists will be presented on MOCAK’s elevation, showcasing utopian projections that serve the purposes of secession from and resistance to the world of now. Most of these banners were originally produced for the façade of the Secession in Vienna. Some works relate to the uprisings, occupations and social movements that have emerged in recent years, in a quest for a better world. Others are poetic references to the feeling that ‘something is missing’. They aim to liberate utopia from its totalitarian connotations and give it a fresh direction. The urge to create utopian visions manifests itself at times when people are searching for alternatives. Although the works are displayed consecutively, they interact, demonstrating different takes on the utopian drive of recent years. The 12 banners (measuring 3.4 × 9 m) will be exhibited on the façade of Building B and changed monthly. They have been created by the following artists: Mariam Ghani (I), Daniela Ortiz (II), Undrawing the Line (III), Halil Altindere (IV), Giuseppe Campuzano / Miguel A. López (V), Matthew Hyland / Ines Doujak (VI), Christoph Schäfer (VII), Oreet Ashery (VIII), Bert Theis (IX), Nobodycorp. Internationale Unlimited (X), Oliver Ressler (XI), Etcétera (XII). Utopian Pulse – Flares in the Darkroom has been funded by the Austrian Science Fund (FWF) AR 183-G21. but who can stop the dust? 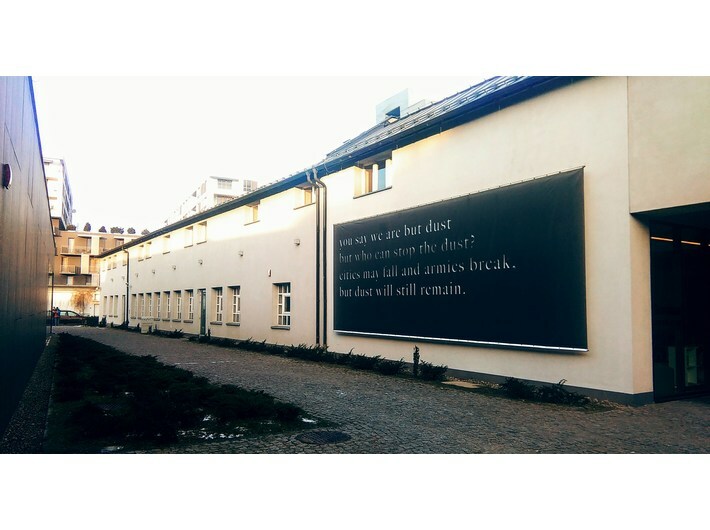 Since 2004, Mariam Ghani and Chitra Ganesh have been running the experimental archive Index of the Disappeared, which involves collecting proverbs, protest slogans and fragments of poetry from all over the world. 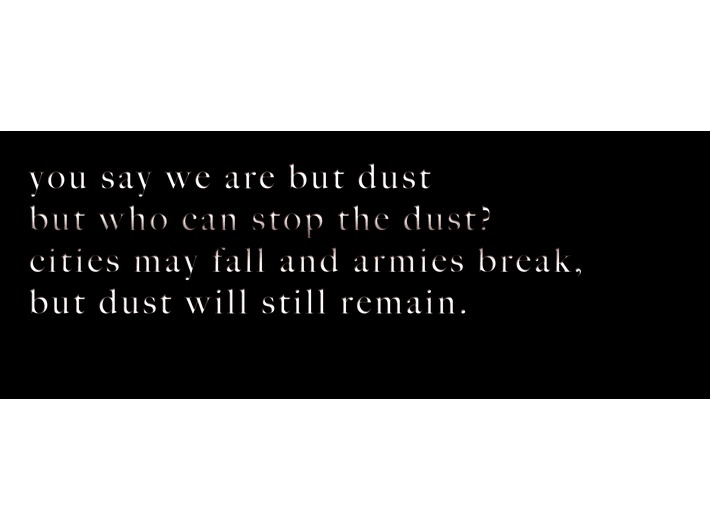 ‘You say we are the dust. Who can stop the dust?’ was the slogan that, in 2007, accompanied the protests of Indians who, as a result of industrialisation, had been driven out of their traditional woodland and rural areas. On her banner, Ghani has paraphrased and amplified the slogan, whilst retaining the poetic tone of the original. She has succeeded in relating her work to the context of its original presentation in 2014 on the façade of the Secession building in Vienna – a symbol of art that cannot be contained within traditional conventions.